I’m seriously impressed with Google’s newbile browser offering, Chrome. I like the simplicity of its interface, its speed, and most of all how it handles searches. 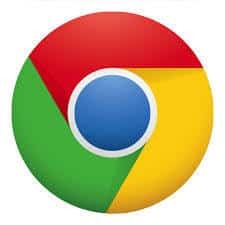 But Chrome still lacks a ton of features (plugins, most importantly), and many believe it’s little more than a half-baked experiment with little chance for success. I disagree, and here’s why: Google excels at being brilliant through simplicity, and they seldom start out in a major space as a threat. Remember, everyone was doing these things long before Google was, and few thought there was much more to do beyond incremental improvement. Then Google came along with their Search, GMail, and Google Reader offerings–all of which are widely considered to be macro-evolutions beyond the competition. Basically, they sneak up on a space and then dominate it. Nobody even realizes they’re a serious player until they just suddenly…are.